And to sum it all up…. It has to be applause to the EFG as the highlight of 2013. After 16 years the Enthusiasts, Fanciers, Owners, Admirers, Followers, Supporters etc. etc. of the EFG said they thought it was time the Glen of Imaal Terrier world in the UK had another KC registered club (we’d been recognised for years) and the Kennel Club agreed with them. Probably the ultimate accolade of all this was the way the KC allowed “our name” to continue on “due to it being held in such high esteem”. Some Glen of Imaal Terrier people were STILL out and about over Christmas. 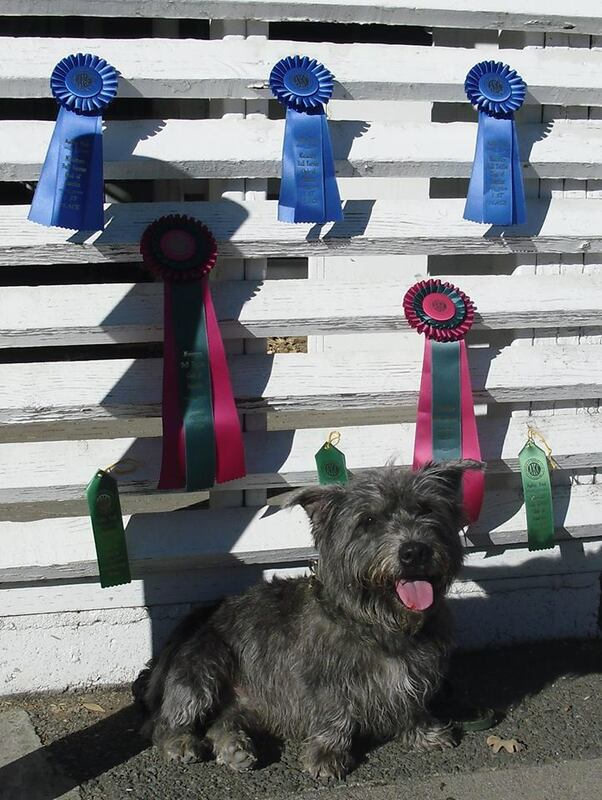 Louise Lopez writes: Bucky completed 3 of the Nose Work elements successfully and earned a first place ribbon (well under 10 seconds) for his interior search! And his brother, Sullivan, while not quite as fast, completed all 4 elements (interior, exterior, vehicle, container) and earned his Nose Work I title. We took weekly classes for over 2 years and did lots of extra practicing before I trialled them. It’s a great sport for all sorts of dogs who are interested in following their noses. Oliver,Tula and Sullivan have titles now. What fabulous news for the last update post of 2013! The “Of the Year” Glens will be getting their own post so if anybody would like to let us know if their animal was number one in their respective country…. 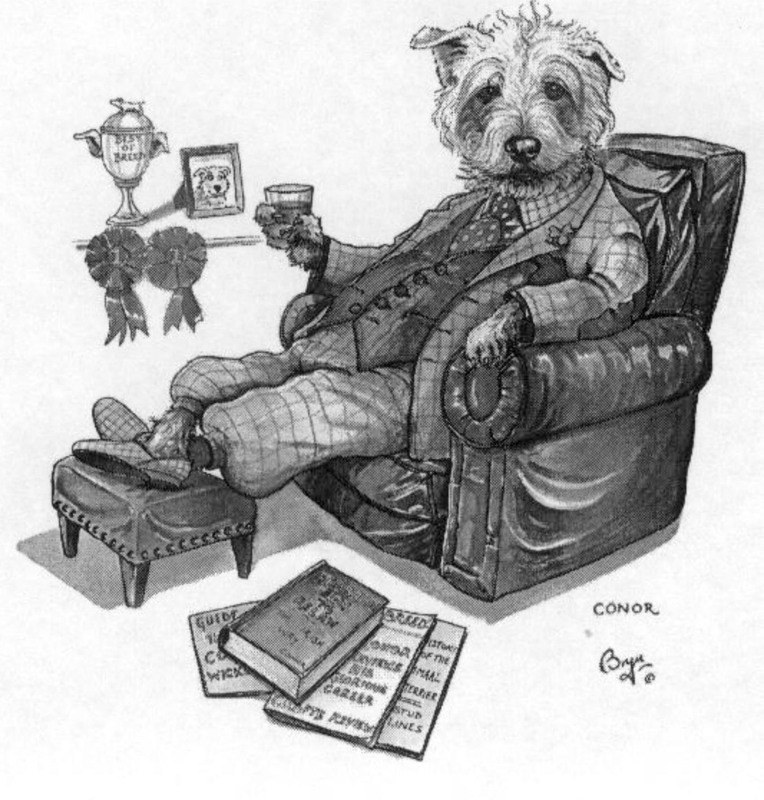 Conor, on behalf of us all, raises a glass to all Glen of Imaal Terriers, their owners, their friends and their admirers. Have a great Christmas period and we’ll all regroup on Monday 30th. Monday is the day of recording Glen of Imaal Terrier triumphs the previous week. This year there have been more and more people sharing the brains of their dogs as well as their beauty so this, shared by Louise Lopez, makes a fabulous finish for 2013. Great news Louise and Tula!! To speak to video for twelve minutes, knowing that the online Glen of Imaal Terrier community will discover and dissect every word, is a brave thing to do. Not a bad effort at all from Crufts 2014 Glen judge Mel Hardy so why not have a look? Leptospirosis is now. It’s been a mild Autumn and the rats have been late moving but they are moving to winter quarters; how up to date are your Glen of Imaal Terrier’s jabs? Lepto is an expensive disease to treat and it can still be fatal. It’s commonly transmitted via water that has been contaminated by urine that comes into contact with breaks in the skin and under all that Glen hair such “breaks” are easy to miss. Just make sure the jabs are up to date instead.